So I finally decided to sign up and allow ads in my blog. I will closely monitor the behaviour of the ads. Please bear with me for the next few days, or post your observations and suggestions in the comments and I would love to improve my blog more. Friendly reminder: Readers, Do NOT post your email address anywhere in my blog, especially comments section. At the very least, replace "@" with "AT" or "[at]". Please be mindful of your online security and privacy. Best love! UPDATE 08 OCT 2017: The files linked here were lost. Unfortunately, I couldn't find the original files in my backup files. Thank you to all that have emailed me about the dead links, without it I would not have known I am losing files from my previous projects. I am sorry I cannot help you at this time, until I recover the files I have here. This is my designed MS Excel program for estimating a 2-storey residential building of duplex type; I also included the specifications I used for the said building. The format used is from Gammatech Construction Corp. YOU ARE NOT ALLOWED TO CLAIM THIS FORMAT AS YOUR OWN. Please ask for permission if you plan to use this specific format. The program is still in its primitive state, so if you are planning to use this as your reference, please send me a copy of your improvised program [this way, wisdom is shared ;-) ]. There is now a platform called "have i been pwned (HIBP)" created by Troy Hunt from Australia, where we can search if our email addresses and accounts are included in "combo lists". These lists contain email address-password pairs. Search your email address and it will tell you how your account is compromised. It will tell you if your email account is included and in which websites e.g. Yahoo! It will also tell you if your email-password pair is being shared publicly (aka 'pasted'). I have complaints with the hotel itself, but the rest of Genting is very good be a weekend family getaway, or place to cool off. 1. We booked by Agoda. We have to get our booking to be "cleared" so we can use the self-service machine. Why can't they skip this step since there's already a staff attending to us? 2. Similar to other Resorts World hotels, everything you do has a price or fee on it. Since we arrived 15-mins earlier than check in time, we have to pay extra just so we can check in and make our baby comfortable. 3. Another extra for "mountain view" - this is not outrageous since most hotels offer this, not all rooms will have a nice view. Little did I know this is not a perk but a NECESSITY. I stayed at room 12645 and my window was facing a dark abyss. It was so claustrophobic and feels like I'm in perpetual darkness. 4. No toiletries. Take note that this is Genting so there are no public supermarkets anywhere else. Everyone is forced to buy in stores with overcharged prices, because of course they have to pay their rent to Genting. Two-pronged robbery on both sides right there! This is not a hostel. If they want to squeeze money, why can't they force those staying at the higher-tier hotels to buy the expensive toiletries? 5. The ceiling fan is so noisy. I can also hear the noise from the amusement park. Only the cold temperature made me get some rest. 6. I wanted to walk around outside, so I asked a lady at the counter. She seems not to know anything to which I advise she should stop working there else she will be stuck and die when there's an emergency. Or probably need to pay extra to access her memory and basic courtesy in speaking to a stranger, to which I will advise the same thing and not work in a hotel. Our stay in Genting would've been pleasant all-throughout, I would advise the points above BE HIGHLIGHTED CLEARLY to spare other people with disappointment. With that said, the rest of Genting was very good and I will go back since I already know what things to avoid in this hotel. 1. The dinner buffet at Coffee Terrace is surely worth the price! I would've gone every night if I could. I was very happy with the seafood and Brazilian meats. However, I would not recommend the breakfast buffet despite the lower price, because there is cheaper and better. 2. For breakfast, I would advise to go for The Food Factory buffet. The Danish pastries left me satisfied, but it was the humus that impressed me most. It made up for the bad coffee. And here's Jiajia, having his own bed but not liking the room! Dug up unprocessed photos that has been in the back burner for a while. 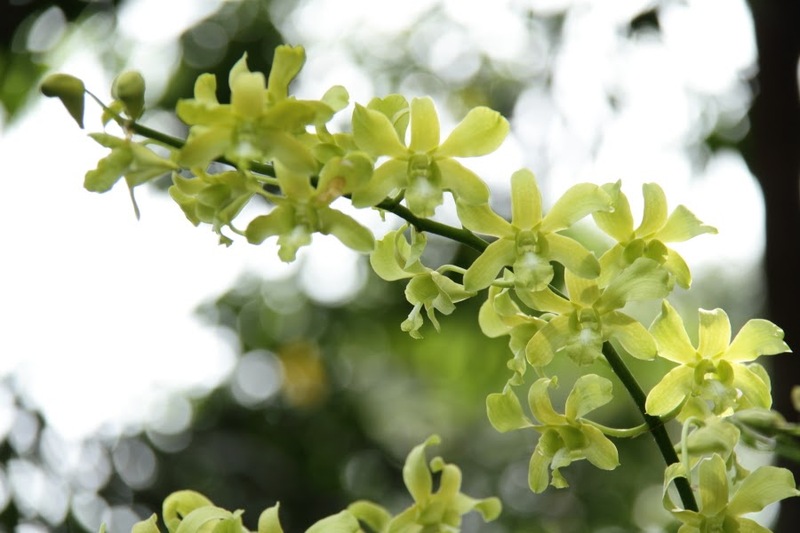 These are some shots I took of the pretty flowers in Singapore Botanical Gardens waaay back in 2014! By the way, I recommend paying for entrance to the National Orchid Garden, as most of my beautiful photos are of orchids. Correction: National Gallery in TripAdvisor corrected me: the museum offers Open-House ONLY on SELECTED Public Holidays (which are announced in their website), not all public holidays. 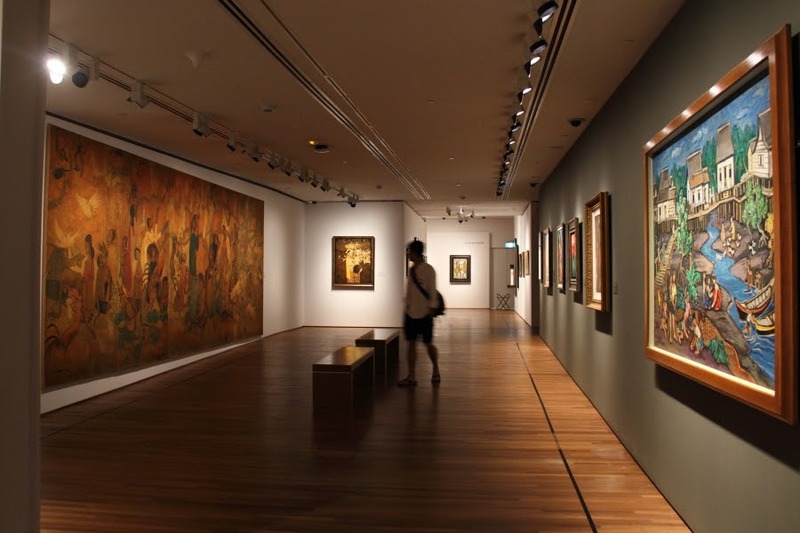 I highly recommend everyone to visit the extensive Southeast Asian art pieces in the National Gallery Singapore. Standard ticket for Non-Singaporeans is 20 SGD, which is not expensive given the exhibits offered at each of the ~7 galleries. The museum is FREE FOR ALL during selected public holidays, which are announced in their website. So I was finally able to visit during the Christmas holidays, and it was an enriching experience and unique treat for myself. I was able to see paintings by Fernando Amorsolo, Felix Hidalgo and a Juan Luna! I would like to go back after I get to know more about other pioneering artists in S.E. Asia like Raden Saleh, Liu Kang... and acclaimed modern and contemporary artists like Norberto Roldan... The architecture of the former Supreme Court and City Hall is also something to behold, and I was also able to see Singapore's historical documents at the former Chief Justice's Chamber. And here are some useful links I have found and is worth exploring!